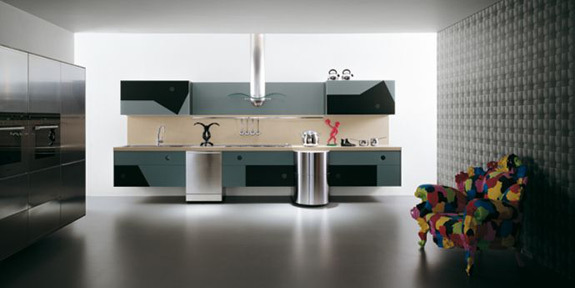 If you love Italian design and have the money for it, then have i got a kitchen for you! 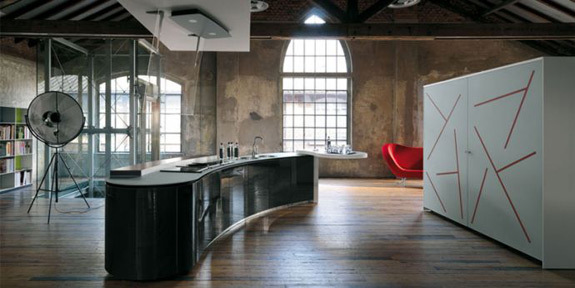 Valcucine has come up with a 100% recyclable kitchen made primarily from Aluminum and Glass, both 100% recyclable materials. Not only that, but the kitchen is extremely durable allowing it to last for years and years bringing to mind all of the 3R’s, Reduce (limited materials and replacements due to its durability), Reuse (so durable, it can be used for years) and Recycle (100% recyclable at its end life). Featuring a Modern Italian design, the Invitrum by Valcucine features recycled aluminum, mechanical connections (no glue needed! 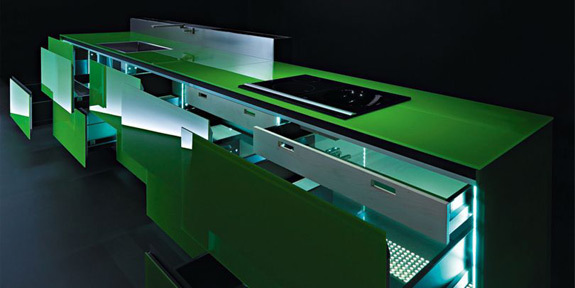 ), and easy to clean glass surfaces. Several other designs are also available all boasting a recyclable design and incorporating renewable woods and water based lacquers. The wooden and glass elements are varnished with water-based varnishes that drastically reduce the emissions of solvents and completely eliminate very cancer-inducing aromatic solvents. All the colorants used do not contain heavy metals, including extremely toxic lead. All glass parts are tempered for very high resistance and safety. I couldn’t find any pricing info, but given they are of modern design and Italian, well, we are all familiar with Lamborghini and Ferrari. for your prompt response, please include also date and venue for upcoming exhibit especially here in Asia., thank you very much and we hope to hear you soon, Bye and Good Day!!! Kingsu Glass & Aluminum Supply, Inc.